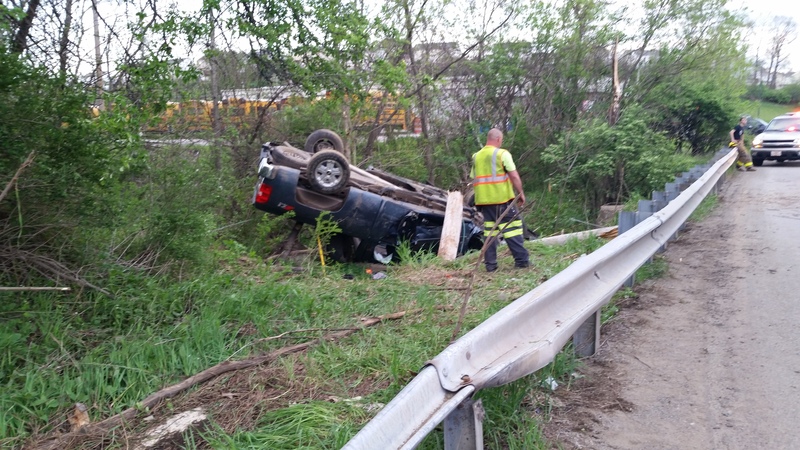 Shortly before 7 p.m. Stations 233 and 236 were alerted for a vehicle accident with rollover on Old Frankstown Road, a few minutes later another call to 911 placed the call possibly in Monroeville, bringing 195 and 196 on the call, police and 226 Assistant got on scene determining it was in Penn Hills, bringing 226 and 227 to the scene. 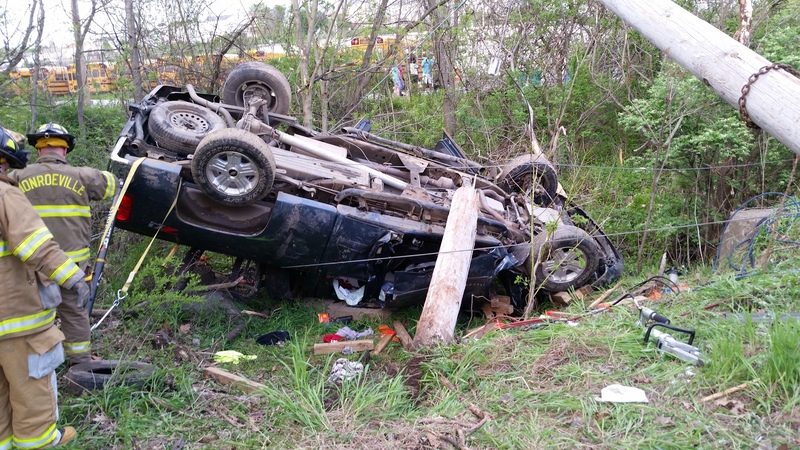 Crews found a pickup truck rolled over and on a creek bank with the driver still entrapped in the vehicle. 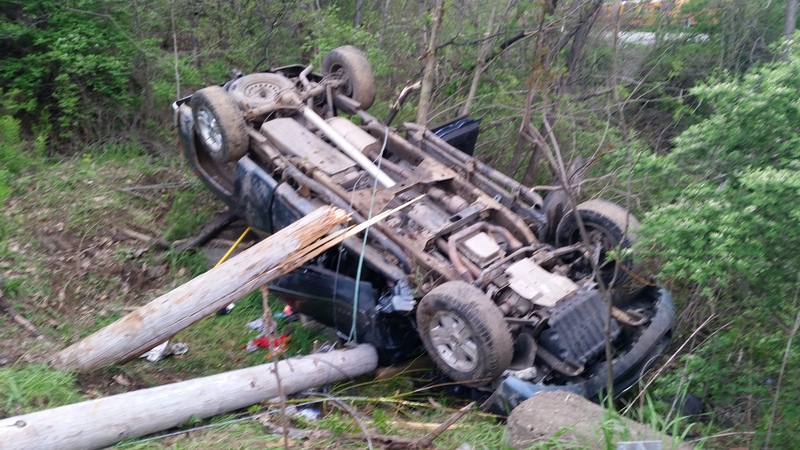 After around 20 minutes of tedious work, the driver was freed from the vehicle and placed in EMS care for evaluation. Great work to all companies on scene.